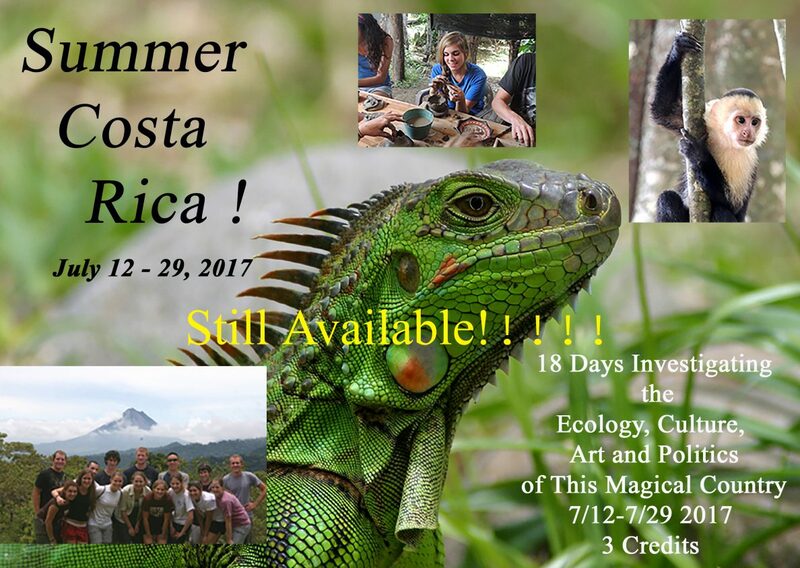 Below is our updated Trip Itinerary, with a detailed description of where we travel during our 18 day journey through the beautiful country of Costa Rica. The Itinerary is subject to change based on a myriad of factors, including weather conditions, so course participants are asked to be flexible and understanding. We will experience the tropical rain forest, the dry forest, the cloud forest, the Central Valley, and the coastal areas of the Caribbean and the Pacific. Participants are sure to enjoy this academically and culturally diverse trip! Pura Vida!